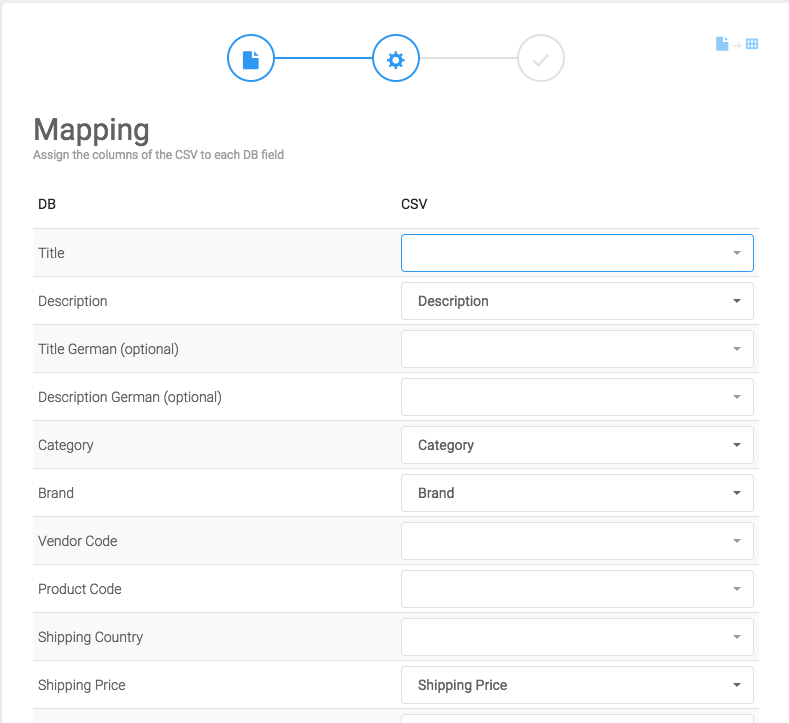 To get started with importing products via CSV, go to the Product Manager on linkr. 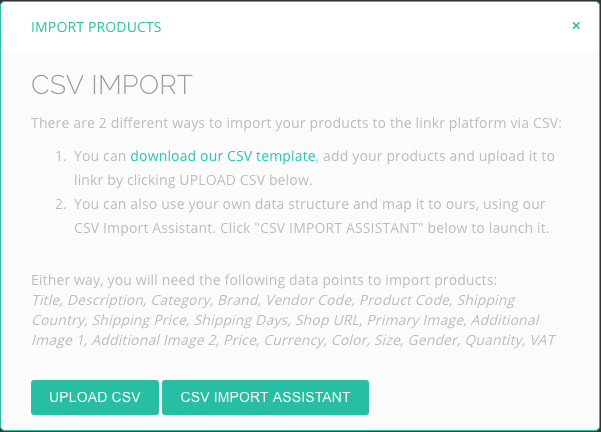 There, click "Upload Products via CSV"
Method 1 - Using the linkr CSV template: This method is only recommended if you do have technical support at hand to create the required format. 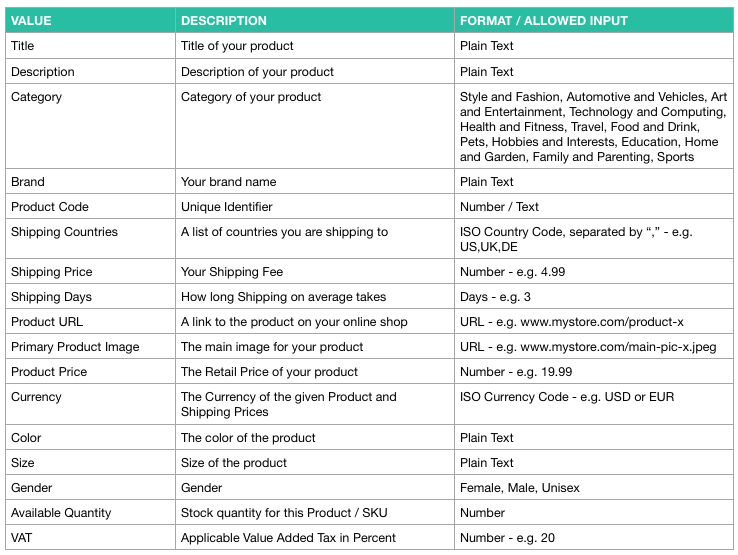 Syntax validation upon upload is rigid and product import will fail if the template structure is not 100% adhered to. CSV files are tricky to get right. If you're unsure if your file is in the right format, you can send it to support@linkr-network.com for us to check it prior to upload. Method 2 - Using the linkr CSV Import Assistant (recommended): This method will allow you to use your own data structure (e.g. 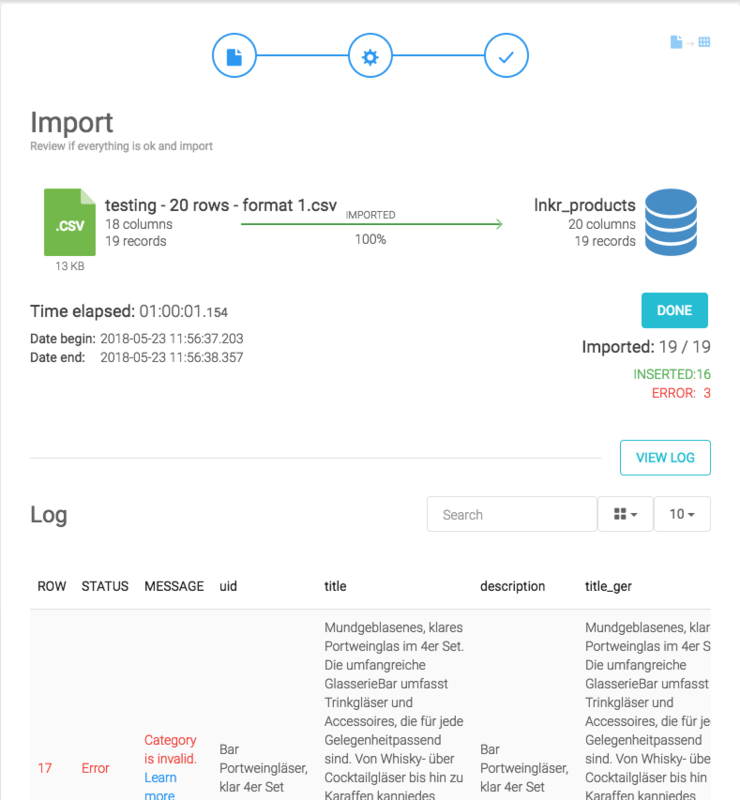 exported from your Shop solution) and map it to the linkr data structure with a handy, little import assistant. The steps described in this article will focus on method 2 only. A pop-up opens. 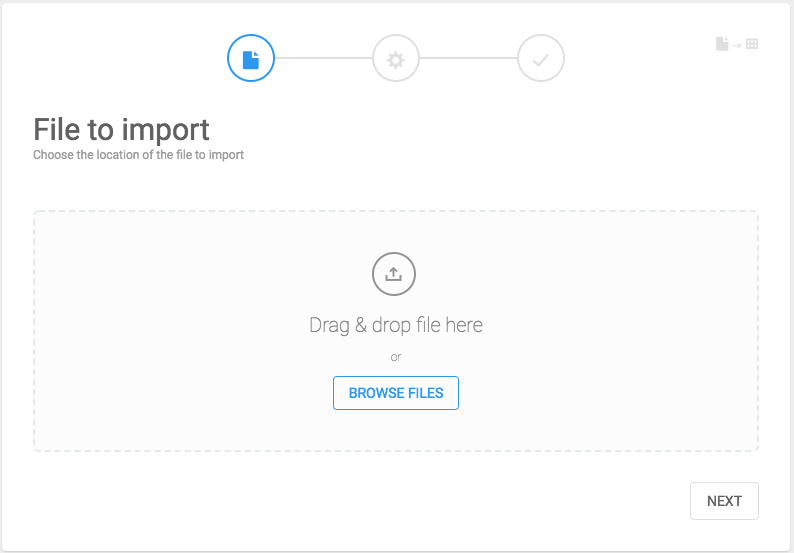 Select the CSV file you would like to upload and click next. The column sorting of the CSV file you are uploading is not important. You though need to make sure that each line represents a Product / SKU and that at least the required values listed below can be found in the CSV file. Your CSV file is uploaded to linkr and analyzed. linkr tries to auto-detect parameters such as delimiter, enclosure and encoding. Please make sure to check the delimiter though. How do you do that? Open your CSV file with a text editor and check if the separator (delimiter) between column values is a "," or a ";" or something else. On the next screen, you will see the linkr data structure on the left hand side. To the right, you will see the columns extracted from your CSV file. You can now map each of your columns on to the linkr data structure. Once finished, click next. You will see a quick summary of your settings, allowing you to cross-check the number of columns and records (i.e. lines) in your CSV file. Click IMPORT to proceed or BACK if you would like to apply corrections. 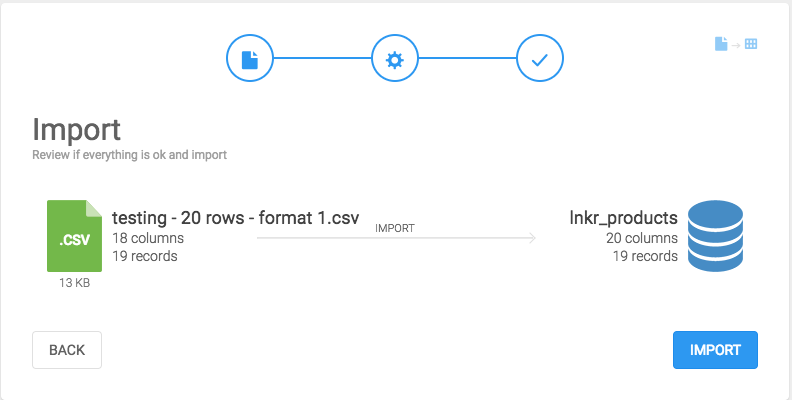 linkr will now import your CSV file. At the end of that process, you will see how many products have been inserted successfully and how many had errors. You can click on VIEW LOG to see what exactly went wrong in case of errors. Click DONE and check the imported products on the Product Manager. 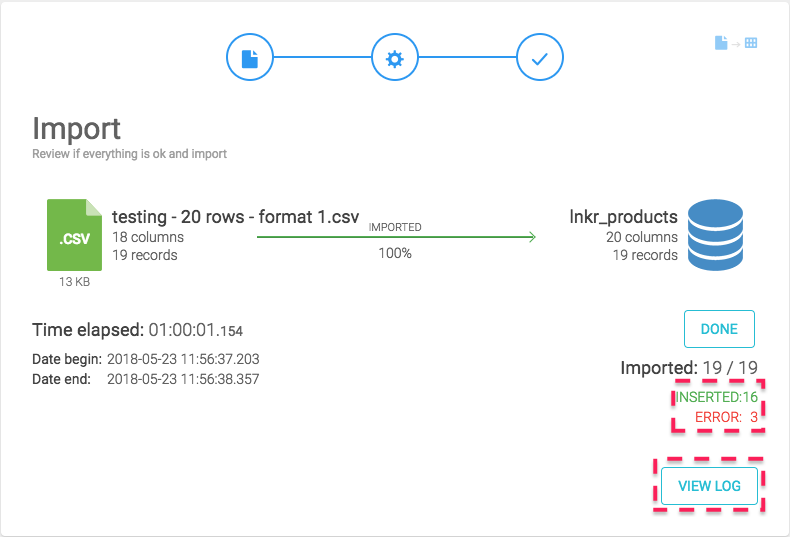 The linkr CSV Import Assistant supports product updates. 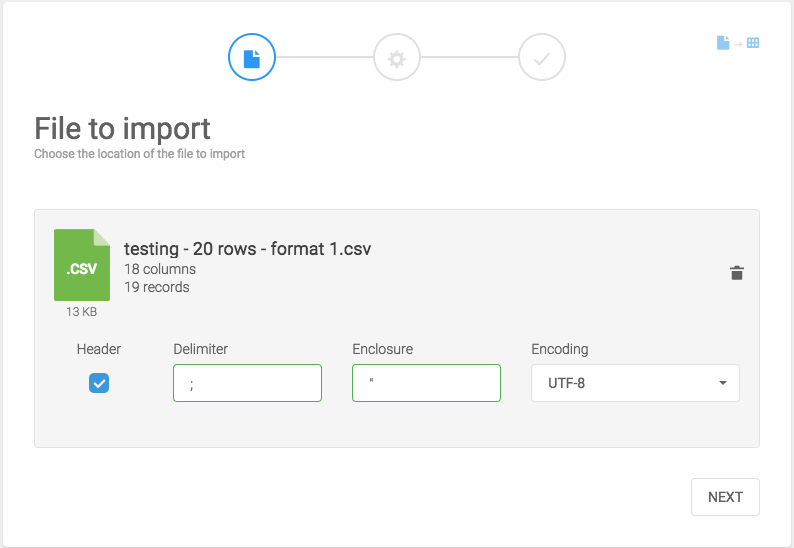 If you would like to change a specific value or correct an error that happened during import, you can simply correct your CSV and re-upload it. Please note that the Product Code will act as a unique identifier - i.e. based on the Product Code, the existing product will be overwritten with values from the updated CSV file.